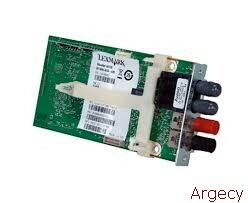 Looking for IBM Infoprint 1228 Parts? Leasing Available from $10.58 per month! With print speeds up to 28 color or monochrome ppm and a first-page-out time of less than 15 seconds, the Infoprint Color 1228 provides exceptional color quality at outstanding print speeds. Its wide-format capability is ideal for printing financial statements, spreadsheets, brochures and much more. At a Glance The Infoprint Color 1228 is a high-value, wide-format workgroup laser color printer that delivers up to 28 PPM with outstanding performance and reliability. Overview The IBM Infoprint Color 1228 is a superior-quality, medium-volume, wide-format color laser printing solution for the workgroup environment. The printer offers great value with up to 28 page-per-minute (PPM) monochrome and 28 PPM color capabilities, all for an affordable price. Description The IBM Infoprint Color 1228 is an A3/Ledger color laser printer with print speeds of up to 28 pages per minute. One 550-sheet tray and one 100-sheet auxiliary tray standard for a total of 650 sheets standard input capacity on all models. 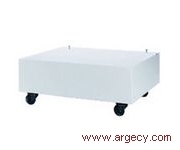 The network module comes with a second 550-sheet drawer for 1,200 sheets standard input capacity. Optional 550-sheet drawers and one 3,000-sheet high capacity feeder for a maximum 5,300 sheets input capacity. 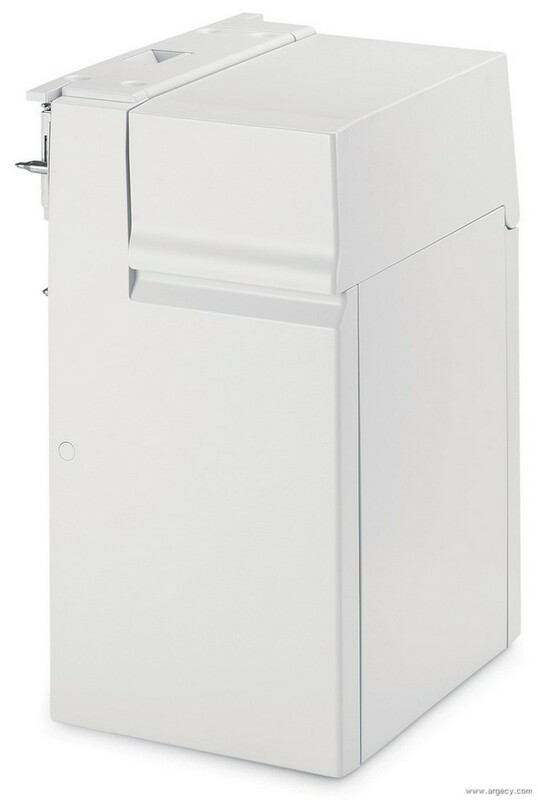 Optional staple/punch finisher with a 1,000-sheet output bin for 1,650 sheets maximum output capacity. 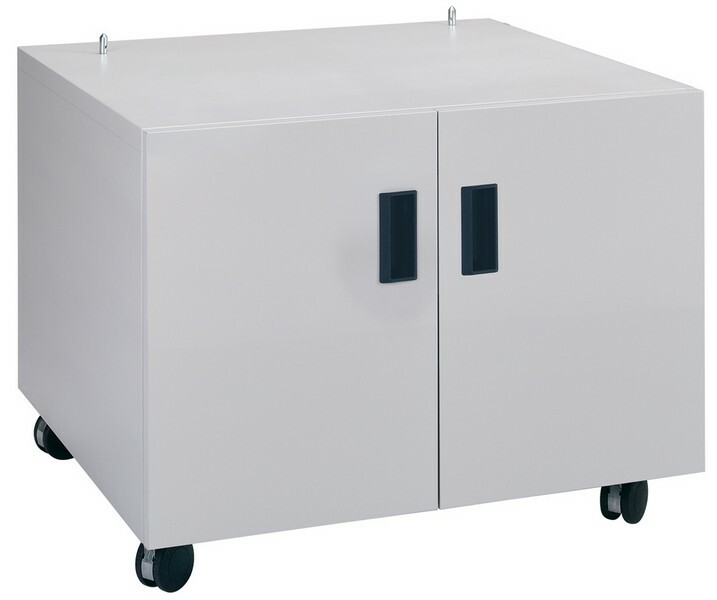 It requires either printer cabinet or 2 x 550-sheet drawer with base or two 550-sheet drawers and printer base as prerequisites. Usage Rates:The maximum monthly usage is 100,000 impressions. IBM does not recommend printing to the monthly maximum on a consistent basis. The Infoprint Color 1228 printer has two base models and two network models. All models include the printer with 64 MB memory. Model 001 is the low-voltage model and Model 002 is the high-voltage model. The network models include a 10/100BaseTX Fast Ethernet card and a second 550-sheet drawer. Model n01 is the low-voltage model and Model n02 is the high-voltage model. The Infoprint Color 1228 controller has a 400 MHz RISC processor. It provides robust data stream support with PostScript 3 emulation and PCL 6 emulation standard. All printer models have 64 MB SDRAM standard. The standard memory is soldered on the controller board. There are two slots available for SDRAM memory and flash memory. The controller supports a maximum of 512 MB of SDRAM memory (total of soldered and memory slots). A maximum of 32 MB of optional flash memory is supported. Infoprint Color 1228 base printer models come standard with an IEEE 1284 Parallel interface with a Type B connector and a USB interface. Infoprint Color 1228 Network printer models come standard with USB interface and an integrated 10/100BaseTX Fast Ethernet interface. Optional features are available for other network connections. The Infoprint Color 1228 supports 2400 image quality resolution. The Toner Darkness setting offers four user-selectable levels to balance your needs for print darkness and toner savings. The higher the value selected, the darker the print (level 4 is darkest setting). On the other hand, a lower number means more toner savings (level 1 is lightest setting). Level 4 is the default setting. The Infoprint Color 1228 offers up to 50% toner savings with a setting of "1", thus reducing the cost of printing. letter size paper printed in 300 and 600 dpi simplex printing. The Infoprint Color 1228 printable area is limited to within 4.2 mm (0.167 in.) of top, bottom, left or right edges of the media. Any information placed outside this specified printable area will not print. The Infoprint Color 1228 will provide satisfactory print quality and feed reliability when using paper designed for use with xerographic copiers and laser printers. During the life of the printer, components are subject to wear based on usage. Printers continuously operating at or near the maximum duty cycle may require service for replacement of these components to ensure high quality printing and good performance throughout the life of the printer. The Infoprint Color 1228 performs plane-to-plan color registration automatically. When prompted, the printer images directly on the transfer belt (rather than the media), measures the color registration and adjusts the image timing appropriately. Applies color correction to approximate the colors on a computer display. Based on the sRGB standard. The Infoprint Color 1228 will have UTF-8 code support standard. UTF-8 code is a particular way in which fonts are accessed. UTF-8 code is a particular way in which fonts are accessed. UTF-8 is available for PCL and PostScript fonts. The fonts in the PCL emulation are compatible with the fonts in the HP4500 (HP trademark) and include four additional fonts and many extra symbol sets to support extra languages and applications. The fonts in the PostScript emulation are compatible with Adobe PostScript 3 and include 20 additional fonts above and beyond the Adobe PostScript 3 fonts. Also included on the CD-ROM is the FontVision Font Management utility and screen fonts to match the resident scalable fonts. Note:Not all fonts support all of t/bhe symbol sets. Refer to the Technical Reference manual for your specific printer or use your printer operator panel to find which symbol sets are supported by each font. 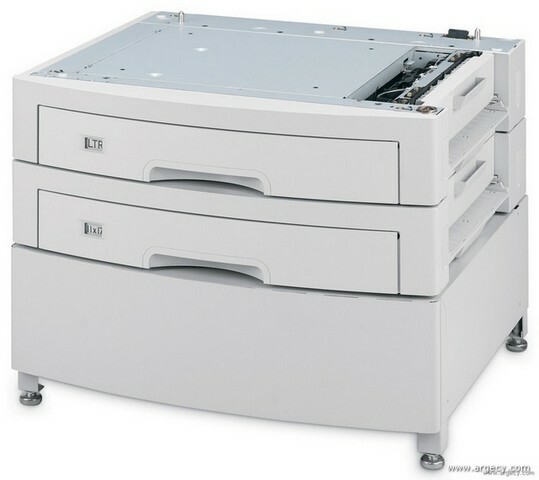 All models come standard with one 550-sheet paper drawer and one 100-sheet auxiliary tray. One 550-sheet face down output bin and one 100-sheet face up output bin are standard. See tables below for standard and maximum media capacities. Note:(1) This is either the standard face up output bin or the finisher face up output bin if the finisher is installed. Note:(1) Size 69.85x127mm to 229x355.6mm (2.75x5 in. to 9.01x14 in.) 250-sheet Universal tray does not support index cards 400-sheet Universal tray supports paper no shorter than 7 in. Note:(2) Size 148x182mm to 215.9x355.6mm (5.83x7.17 in. to 8.5x14 in.). Note:(2) Size 69.85x127mm to 229x355.6mm (2.75x5 in. to 9.01x14 in.) 250-sheet Universal tray does not support index cards 400-sheet Universal tray supports paper no shorter than 7 in. Note:(3) Size 148x182mm to 215.9x355.6mm (5.83x7.17 in. to 8.5x14 in.). Transparencies specifically designed for xerographic copy machines or laser printers may be used with the Infoprint Color 1228. Note:(1) Weights for low-voltage and high-voltage models are the same. Note:Using a 220 V ac to 110 V ac power converter with the low-voltage model is not recommended. Infoprint Color 1228 is compatible with applications running under the following operating systems for either local or network connections: For information about USB connections, see Local Connections. Note:Download the NDPS IP Gateway from the IBM Web site. Note:Download the Enhanced Printer Drivers from the IBM Web site. The software applications that operate with most Apple LaserWriter printers will generally operate with the Infoprint Color 1228. The Macintosh 128, 512, and 512e Computers are not supported. NetPnP senses when a new IBM printer is attached to the network and automatically creates a shared printer object on the Windows NT 4.0 or Windows 2000 system. Furthermore, NetPnP notifies end-users via e-mail that the new network printer is available for printing. Designed for Windows NT 4.0 and Windows 2000 environments, Net PnP makes the Infoprint Color 1228 printers available to end-users within seconds of network attachment. These printers are certified Solaris Ready by Sun and include Infoprint Color 1228 Enhanced Printer Drivers for Sun Systems and Sun specific documentation seamless installation and use in Sun Solaris environments. The IBM network printers are Ethernet-ready for use in Sun networks. This tray does not support paper with weights below 75 gsm (20 lb.). This tray is only supported as tray 1 (highest/top drawer location). This input option provides an additional input source which holds approximately 3,000 sheets of 20 lb. A4/Letter paper. It does not support cardstock, transparencies, label or envelopes. This features requires the printer to be at a certain height, see prerequisites. This optional finisher has two output bins with bin full and empty sensing (face down bin only) and supports stapling, hole punching and offset stacking. The finisher installed on the side of the printer. This version of the finisher comes with a 3 hole punch (letter). Total capacity for the finisher is 1,100 sheets and with 100 sheets for the face up bin and 1,000 sheets for the face down bin. The face up bin on the finisher takes the place of the standard face up bin on the printer. Stapled jobs go to the face down bin only. Maximum stapled set is 30 sheets (20 lb). Punched jobs can go to either output bin. Offset jobs go to the face down bin only. The finisher is identical to the 3 hole finisher except it has a four hole (A4) punch. See 3 hole finisher (FC 4621) description. The Infoprint Color 1228 has two slots for memory and flash memory features. A maximum of 512 MB of memory and 32 MB of flash memory is supported. Only one flash memory feature is allowed. If more than one flash feature is installed, the feature with the largest capacity is used. If a flash feature and an Optra Forms flash feature are both installed, the Optra Forms flash feature is used. 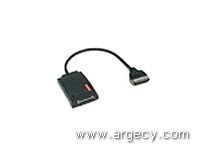 In addition to the standard USB port for all models and standard parallel port on the base models, each Infoprint Color 1228 model has one interface slot that can be used for optional network connections or local connections. 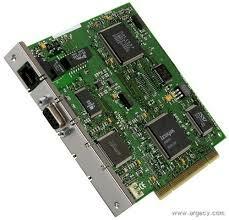 This card provides an RS 232-C serial port and 1284-C parallel port. Cable Features (#4182) Parallel 1284-C Cable 6 Ft.
For personal Computers and UNIX Workstations, the recommended PC parallel printer cable is required for attachment of the Infoprint Color 1128. It must be ordered separately. Network cards plug into the one interface slot. Only card is allowed per network protocol. That is, only one Ethernet and only one Token-Ring card. Any of the non base models have Ethernet onboard and cannot have a 10/100BaseTX card installed. These models can have the 10Base/2 card installed but it will disable the onboard Ethernet. This print server allows the printer to connect a 100BaseFX fiber optic Ethernet network. 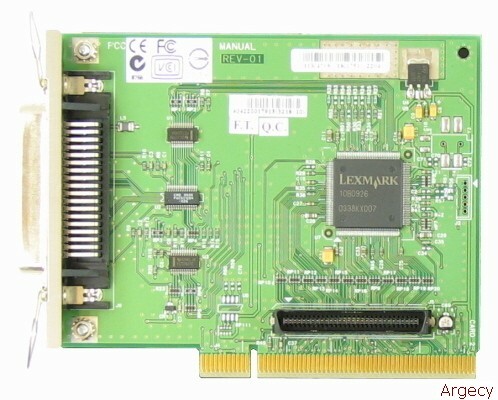 This card supports multimode fiber (62.5/li/125um) and has a female MTRJ connector. These external Print Server features allow the printer to be connected to a network using the printer's parallel or serial port. These features are in addition to any internal print server features. IBM iSeries with OS/400 V4R5 or later utilizing OS/400 Host Print Transform. Use Manufacturer Type and Model (MFRTYPMDL) of LEXOPTRAT** (in OS/400 Version 4 Release 2 or later), LEXOPTRAS**, or LEXOPTRA**. Microcode updates are available from the IBM web site at www.ibm.com/printers. The SCS adapter uses PCL(fonts from the printer for IBM host fonts. The default resolution of the printer determines the resolution of the SCS data and its PCL fonts. The Card for IPDS and SCS/TNe provides AFP/IPDS and SCS (LU1) data stream support for IBM mainframe and iSeries computers. The Card for IPDS and SCS/TNe allows customers to print AFP/IPDS or SCS(LU1) documents over TCP/IP to LAN printers or over distributed SNA networks using the Coax/Twinax Adapter for SCS with a coaxial or twinaxial cable connected printer. Detailed information on this feature is provided below. This feature is installed in the optional firmware slot. It supports monochrome printing only. Infoprint Color 1220 and 1228 printers do not support "Manage IPDS Dialog". For Infoprint Color 1220 and 1228 and IPDS emulation, staple and offset stacking for the finisher are supported. For Infoprint and IPDS emulation, offset stacking is supported in the printer's standard bin and the finisher bin. Stapling is supported for the finisher. The Card for IPDS supports resident scalable fonts. The font Complement with 12 typestyles supports the IBM Font Collection (Core Interchange Scalable Font Sets - Courier, Times New Roman and Helvetica faces). Note:Do not mark sensitive fonts such as signatures and MICR fonts as eligible to be captured. Check the font licensing information before a font is made eligible for capture. On the iSeries, Font capture is supported by OS/400 V4R5 or later. To define the printer as capable to capture, in the PSF configuration (CRTPSFCFG/CHGPSFCFG), set FNTCAPTURE (*YES). Font capture is supported by PSF for OS/390 or z/OS 2.2.1 with APAR DY43969. With PSF for OS/390 or z/OS, use APSRMARK to mark eligible fonts if they are not already marked. OS/400 V4R5, V5R1 or later through PSF/400 (See Note). Note:With OS/400 V4R5 or OS/400 V5R1, to print IPDS over TCP/IP through PSF/400. Note:Up to four (4) TN5250e sessions from multiple hosts are supported; however the SCS Menu options settings for all 4 sessions are the same. Note:All appropriate APARs must be applied. Coax/Twinax Adapter for SCS (P/N 28P1842) microcode level H02-8491 or later is required. These features plug into the firmware card slot on the controller board. There is only one slot for either Bar Code card, ImageQuick card, or card for IPDS & SCS/TNe (see IBM Environment Solution features). The ImageQuick Option Card enables the Infoprint Color 1220 and 1228 printers to print PDF files, TIFF, GIF, JPEG, PNG, BMP, PCX, DCX, HTML files or URLs referencing PDF or HTML files directly to the printer quickly and easily without using a driver. The Drag'N'Print Utility is included and can be used to create URL bookmarks or to print these objects directly. The Bar Code Option Card enables the Infoprint Color 1220 and 1228 printers to print a wide variety (over 47) of the most popular industry standard bar codes. The Bar Code card primarily generates bar codes algorithmically. The Bar Code Option Card emulates HP printers with an HP Barcodes&More Cartridge/ SIMM/DIMM or a JetCAPS (BarSIMM(/BarDIMM( (v.2.0b) installed for compatibility with existing bar code applications using HP/JetCAPS solutions. Optra Forms uses 'up-to-the-minute' data directly from customer applications and combines it with printer resident electronic forms with text and graphics to produce (print) completed forms such as invoices, statements, pick slips, labels, purchase orders or confirmations with bar codes or other specialized graphics on a variety of paper types. Optra Forms is supported by the Infoprint Color 1228 printers using the Optra Forms 2, 4, 8 and 16MB Flash DIMMs or Optra Forms Hard Disk. Optra Forms Director is a Windows NT or Windows 2000 server-based program. Using additional host software (AS/400, UNIX or Mainframe), the host application sends a print spool file to a Windows NT or 2000 print queue. Optra Forms Director service automatically parses the print spool file into single or multiple print jobs using Microsoft Visual Basic Script or JScript methods and Named Pipes. Optra Forms is supported on the Infoprint Color 1228 using a Optra Forms flash or Hard Disk. Only one Optra Forms flash DIMM is supported. If a Flash DIMM and Optra Forms Flash DIMM are both installed, the Optra Forms DIMM will be used. This feature plugs into a disk interface slot and does not take up a memory or interface slot. For added security, confidential forms printing can be restricted to authorized personnel using the security features. This is a lock and key that attaches to the printer serial port. When the key is removed, the printer will still print but confidential forms will not. This feature is mutually exclusive with the 3-key security feature (FC 4879). Note:With an Optra Forms hard disk, create a job buffering partition or change its size. After the disk is formatted and partitioned, the Optra Forms Merge program is written to the disk. Infoprint Color 1228 complies with the global safety standard for Information Technology Equipment, i.e. IEC 60950, and its country equivalents in the markets we serve. The following sections highlight the approvals and certifications that Infoprint Color 1228 is expected to receive. Infoprint, AIX, and ServicePac are registered trademarks of International Business Machines Corporation in the United States or other countries or both.Windows and Windows NT are registered trademarks of Microsoft Corporation. Other company, product, and service names may be trademarks or service marks of others.